Complete an Online OLCC Permit Class Today! Welcome to our Online OLCC Alcohol Server Education Course! Our Oregon Alcohol Server Education (ASE) Course is approved by the OLCC and provides bartenders, servers, waitstaff, managers, growler-filling staff, and anyone who serves alcohol in restaurants, taverns, nightclubs, bars, lounges, and private clubs with the education required to apply for a new or renewal OLCC Permit! Why take our Online OLCC Permit Program? This course was written by Len Riggs, a former comedian, who worked hands on in every aspect of the Hospitality Industry for 27 years and has been conducting Alcohol Server Education since 2001! This course works on all devices! PCs, Laptops, Mobile Phones, and Tablets. Our course was rated the best Online Alcohol Server Training Program available by past students! By completing the most comprehensive Alcohol Server Training Course available in the state of Oregon, you will reduce your risk of being held liable for any alcohol-related issues. Our online course is available 24/7, and you can log on and off as needed! We provide unsurpassed customer service and support to our students! Have a question? Please see our most common Q&As below! Who needs an OLCC Permit? An OLCC Permit is required for employees who serve alcohol or fill growlers in restaurants, taverns, nightclubs, bars, lounges, private clubs, and similar businesses and is valid for 5 years. 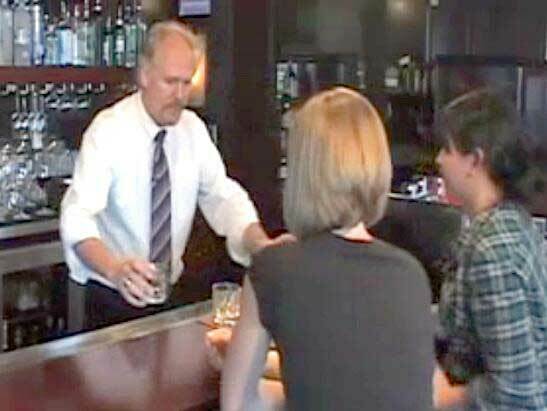 Law requires that you have an Oregon Alcohol Service Permit if you work at a business with a liquor license that allows customers to drink on the premises and you personally mix, serve, or sell alcohol in any manner. Managers who supervise employees who mix, serve, or sell alcohol must also have an OLCC Permit. Employees who work at liquor licensed businesses are not permitted to sell or serve alcohol without a valid service permit. How do you get an OLCC Permit? Step 1: Complete our OLCC approved Alcohol Server Education Course. Step 2: At the end of our course you will be directed to the OLCC's online portal to complete the final exam and fill out your Service Permit Application. Once you complete both of these steps the OLCC will issue your permit to you directly! This online program meets the requirements to get an ASE (Alcohol Server Education) OLCC Permit for anyone who serves alcohol or fills growlers in Oregon liquor licensed businesses. Our intention at AACEA is to provide quality Alcohol Server Education to Alcohol Sellers, Servers, and Managers focused on Customer Safety by promoting Responsible Alcohol Sales and Service in order to ensure our OLCC Permit Holders are aware of Oregon Alcohol Laws so they can recognize and eliminate liability. AACEA is a group of Hospitality Industry Professionals who are well versed in all aspects of Alcohol Service. They bring a strong sense of humor to the seminar along with wisdom gleaned from years of Front of The House experience. The founder of AACEA is considered to be an "Expert" in the field of Alcohol Service amongst the legal community and imparts the same level of expertise to each of the trainers. AACEA's goal is to provide Alcohol Server Education Focused On Customer Safety by Promoting Responsible Alcohol Sales and Service. I want to tell you, your company has the best customer service and support team I have ever worked with, and I have worked for many corporations! Thank you!